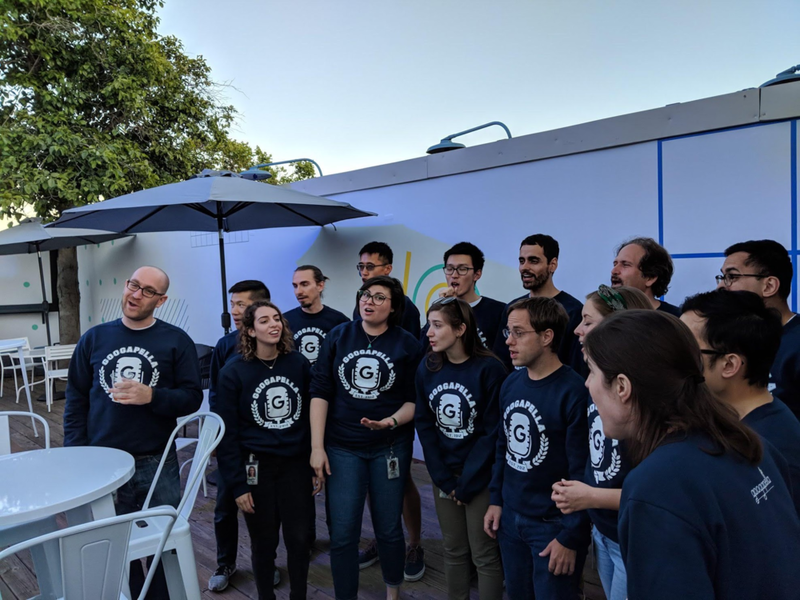 Googapella is Google's longest-standing a cappella group in Mountain View. Originally started in 2007, the group was re-formed in 2012 with a simple goal of building connections through singing...and having a positive work-life balance. Today they specialize in moonshot musical arrangements, self-harmonizing vehicles (those are cars that automatically adjusts the track when you sing loudly off-key while driving) and are in talks to launch Googapella ringtones for your Android phone. And if you don't believe any of that, you can check them out first hand at both Techapella shows: Oct 15th at Fox Redwood City and Nov 4th at SFCM. As a co-founding group of Techapella, along with friends The Vocal Network, Googapella is thrilled to continue the tradition of a cappella collaboration across the tech world.